Multi day dive packages are available to certified divers that want more than a dive or two. We have created these packages so you can save money and dive more. You may dive 1 trip (2 dives) over 3 days or combine two trips in one day to dive 4 dives in one day. you can be refunded balance less the full cost of the dives completed. Example: purchased 3 day package, dove only one trip (2 dives), didn't want to continue diving and cancelled outside 24 hours of next trip, $295-$129=$166 refund. Dives cancelled less than 24 hour of dive trip are non refundable. ​Dives cancelled less than 24 hour of dive trip are non refundable. Example: purchased 5 day package, dove only one trip (2 dives), didn't want to continue diving and cancelled outside 24 hours of next trip, $445-$129=$$306 refund. 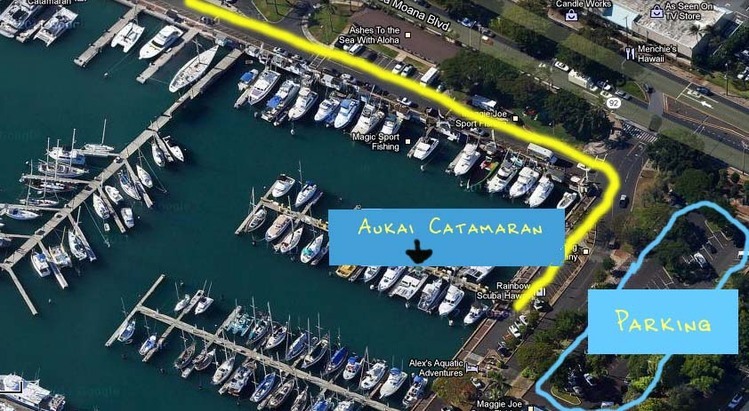 "Aukai" catamaran is located in Kewalo Basin Harbor (Fisherman's Wharf) 1125 Ala Moana Blvd. 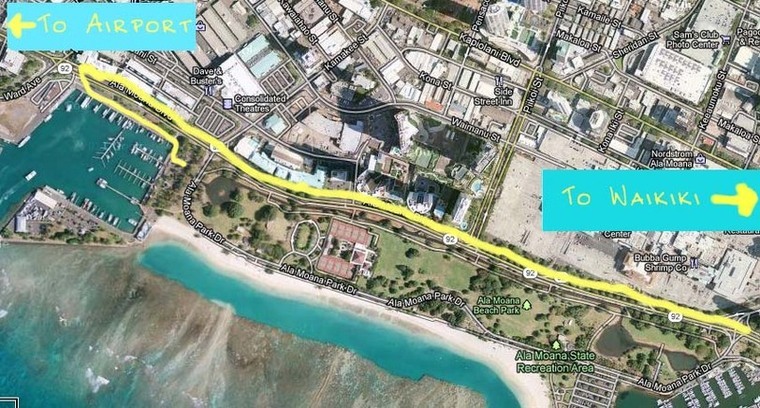 On the East end, nearest Waikiki.